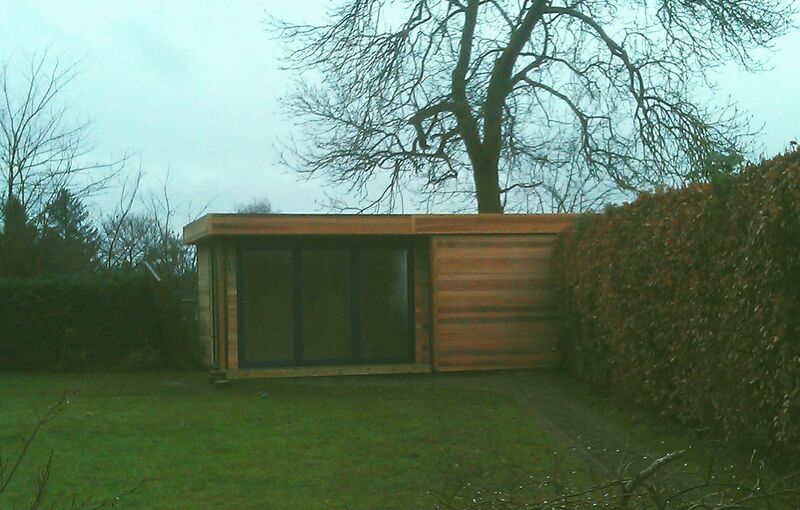 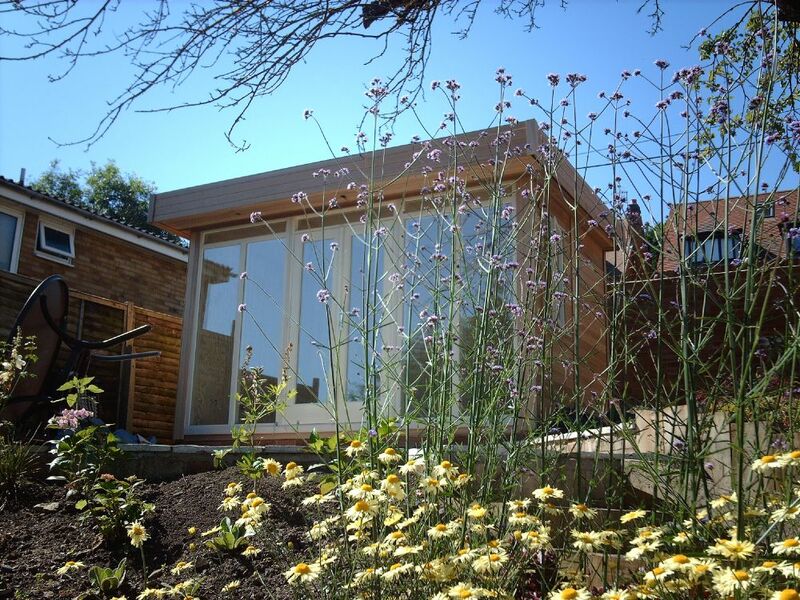 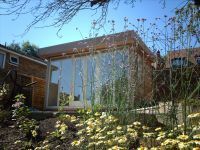 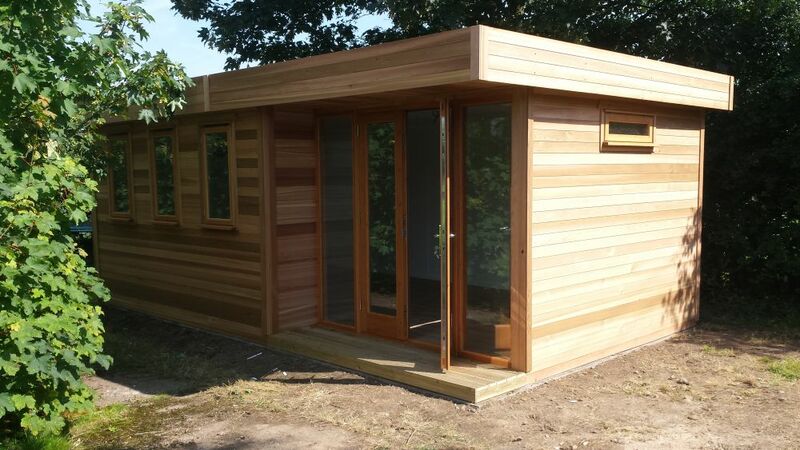 Cedar cladding offers a beautiful and natural finish to the building, which can be left to weather naturally without the need for treatment against rot and decay. The slow grown process means that the timber is not as readily available as the softwood equivalents, hence this is reflected in the price of the raw material. 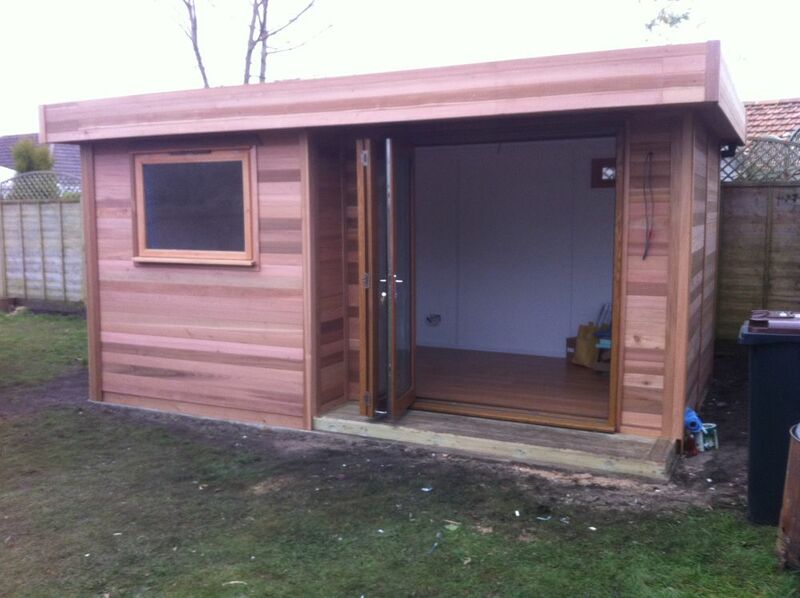 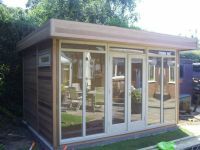 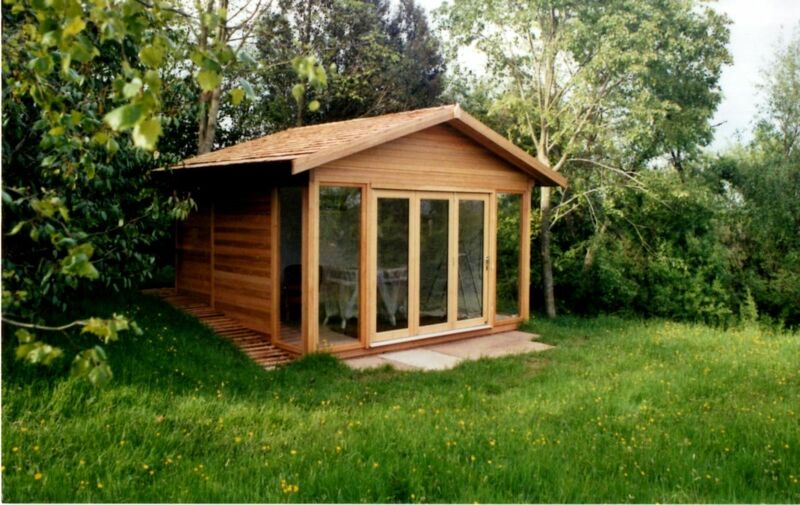 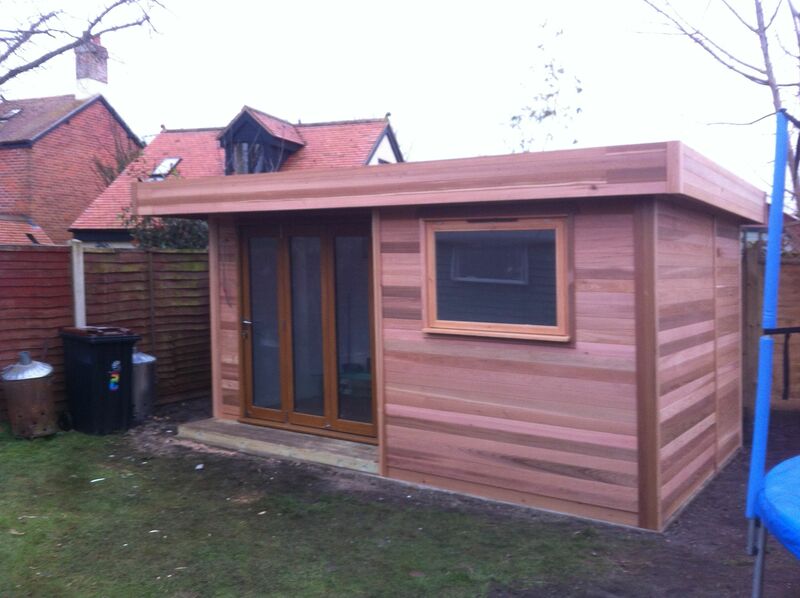 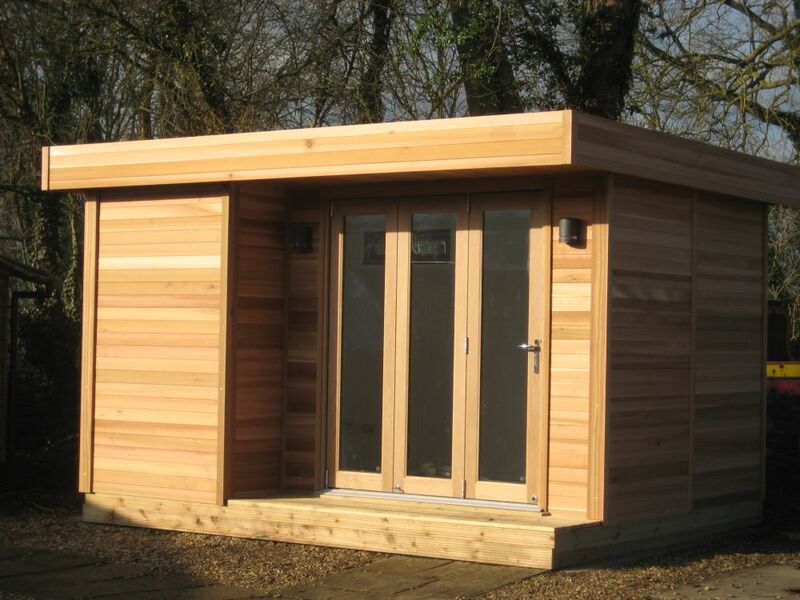 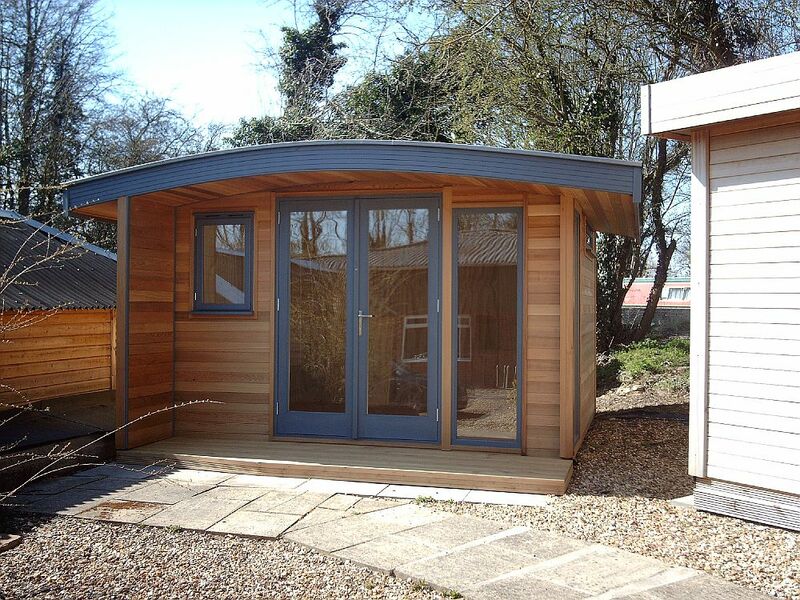 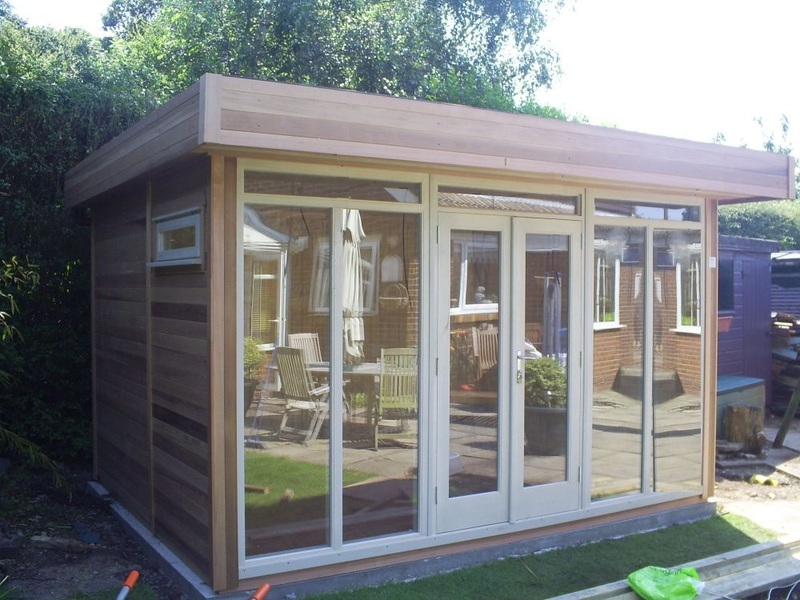 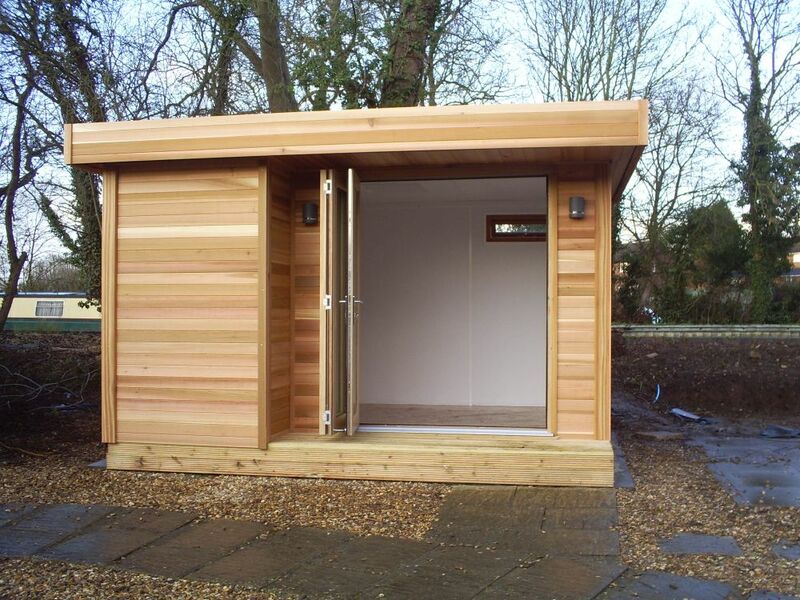 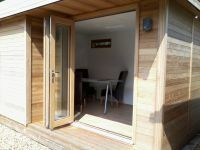 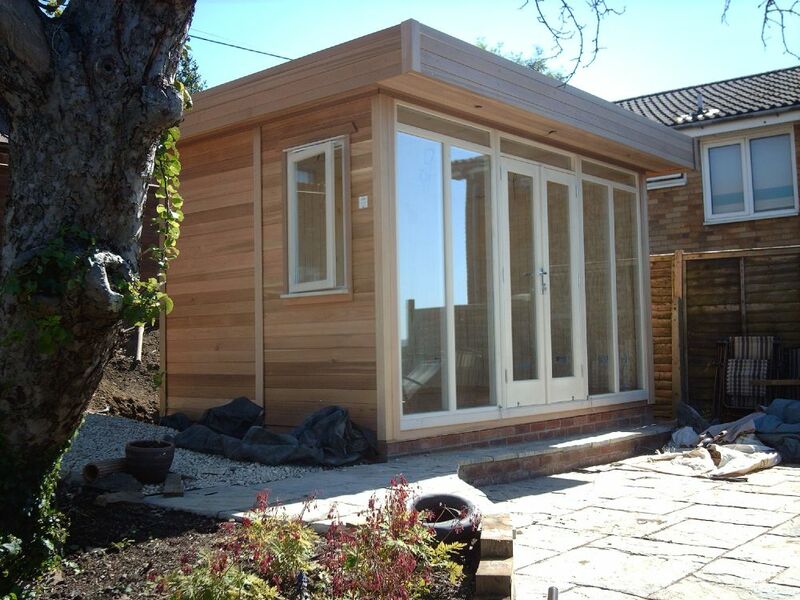 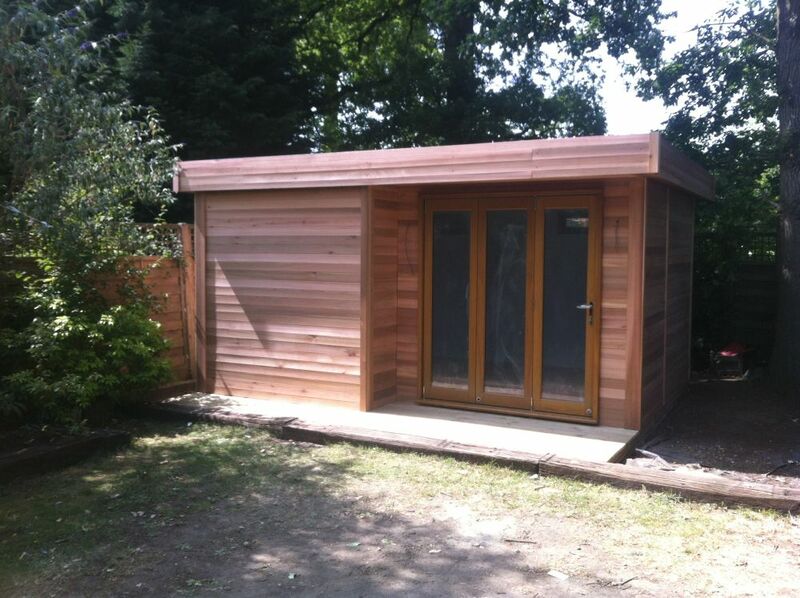 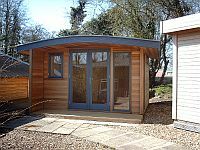 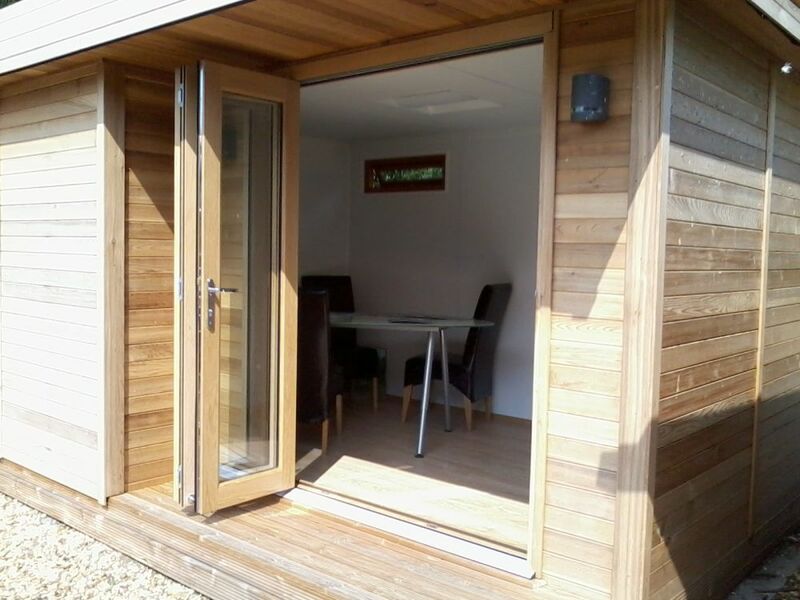 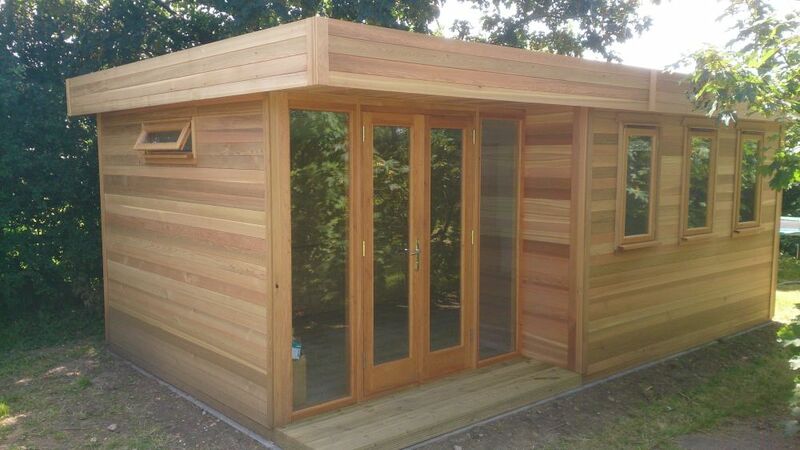 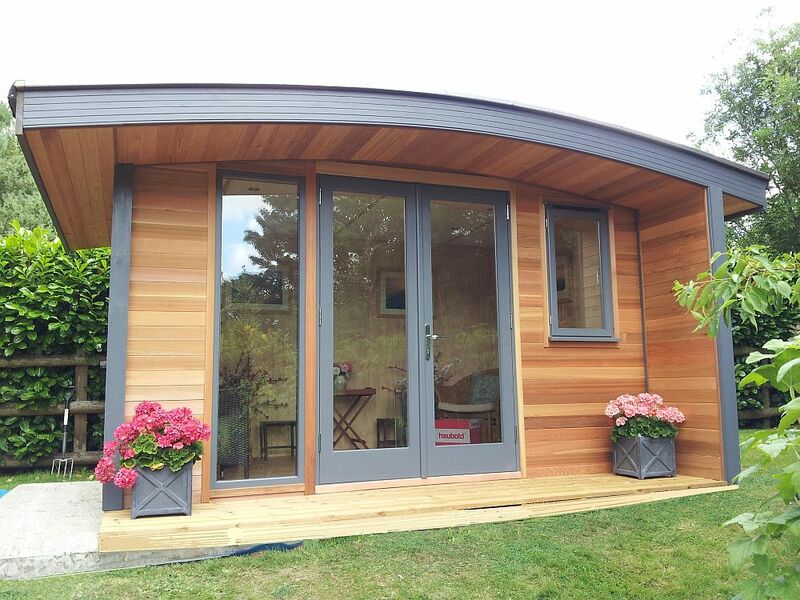 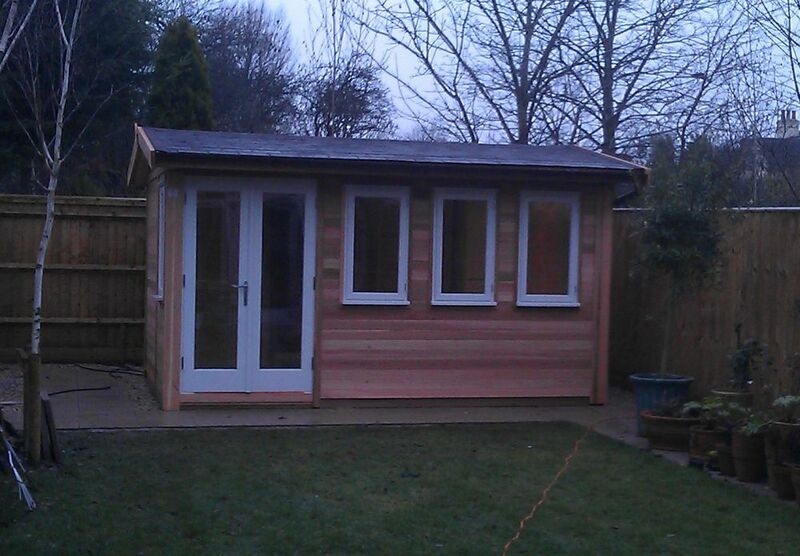 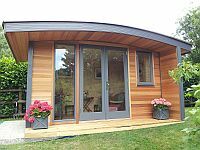 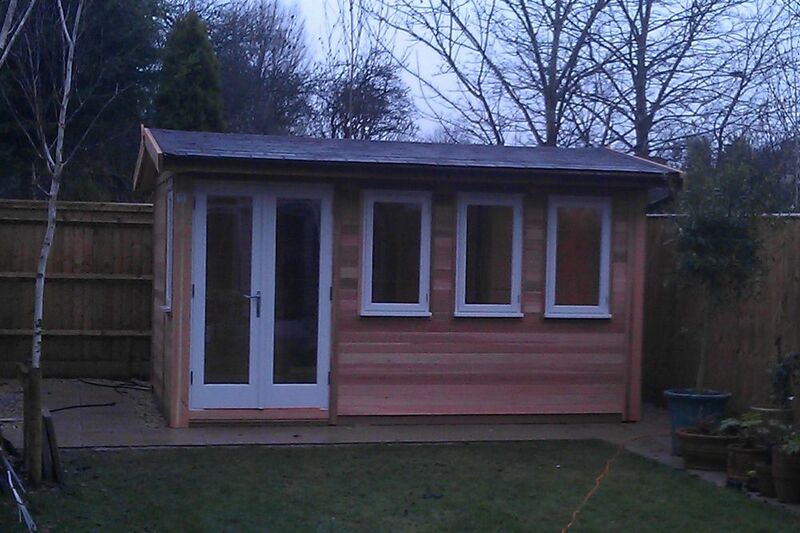 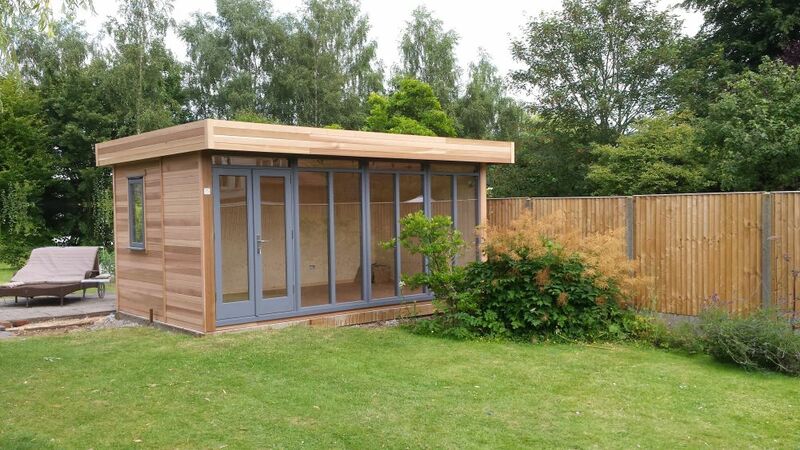 The properties of the Cedar cladding is such that each individual piece is different in colour, thus making your building much more natural looking. 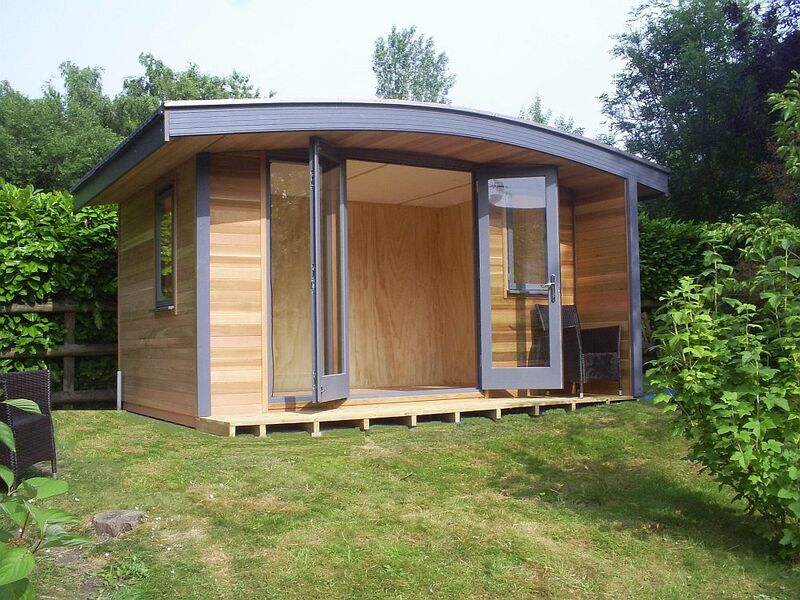 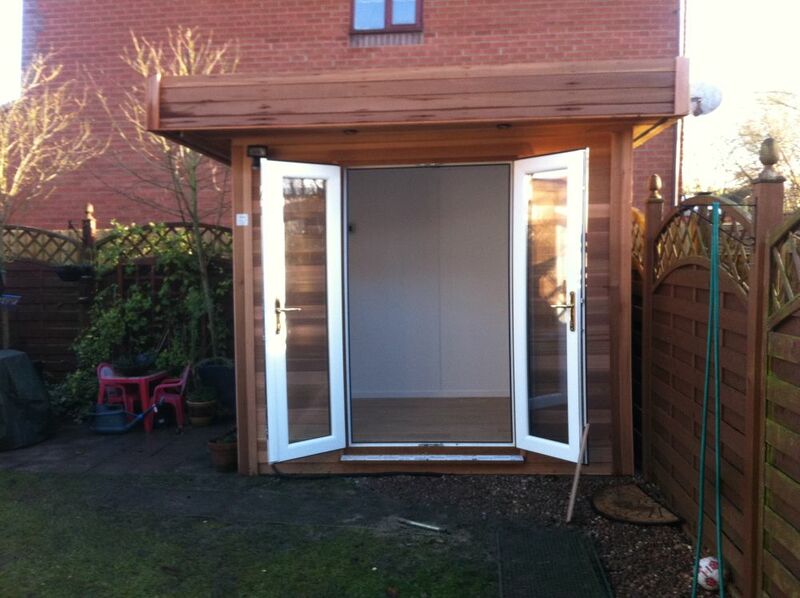 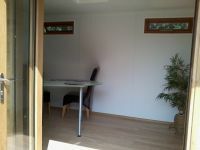 The building that features a bifold door with the set back front features a floor that is created with 6" x 2" tanalised timber framing, 18mm plywood, and our unique adjustable feet, that is strong enough to support a car. 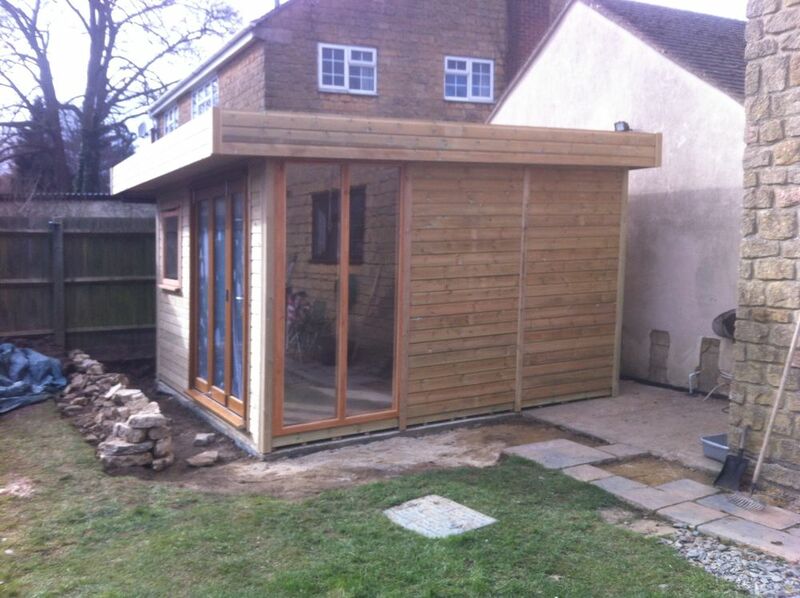 For details please visit the Groundwork, section.